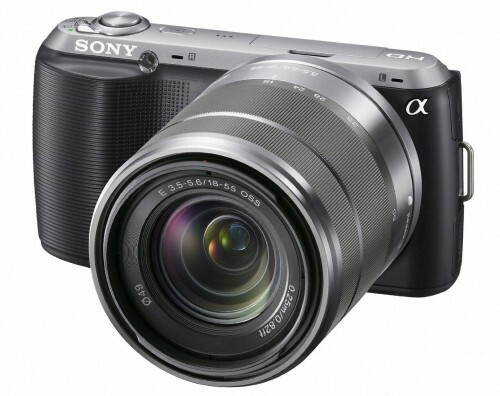 Currently viewing the category: "Printers"
ePHOTOzine has reviewed the new Sony NEX-C3 – a 16 megapixel mirrorless camera with an APS-C sensor, 720p video recording, and compact body. The camera is available for £406 from Amazon UK with 18-55mm kit lens, and the camera scores “Highly Recommended” however, alternative cameras often feature full HD. Pentax Q Review – World’s smallest mirrorless camera – uses a compact camera sensor. Hasselblad H4D-200ms – 200 megapixel Medium Format Digital SLR! Corel PaintShop X4 – a £50 alternative to Adobe Photoshop? Four new Kodak Hero printers – aim to bring down the cost of ink cartridges. Photo roundups from the show: ephotozine, PhotographyBlog, 10 photos at PhotoRadar. Video roundup of Focus @dpnow.com – you may even spot me! 😉 Video of the Fujifilm FinePix X100 @BJP, Art by Simon Whitcomb. 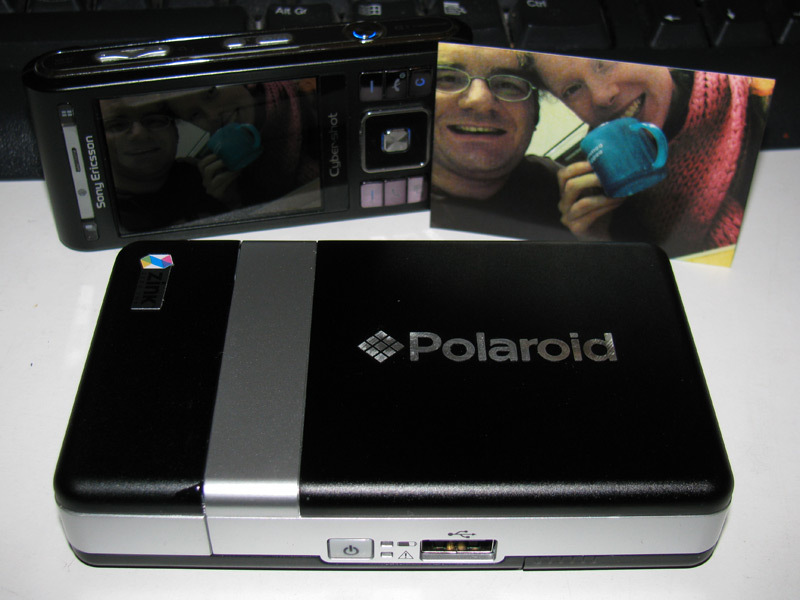 The Polaroid Pogo Instant Mobile Printer, from Polaroid, is a compact inkless Zink based printer with USB and bluetooth support that prints small 3″ by 2″ sticker photos. 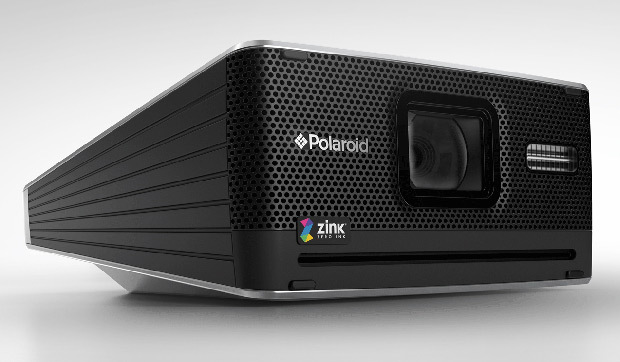 It uses a lithium-ion rechargable battery and photos take roughly 1 minute to print. 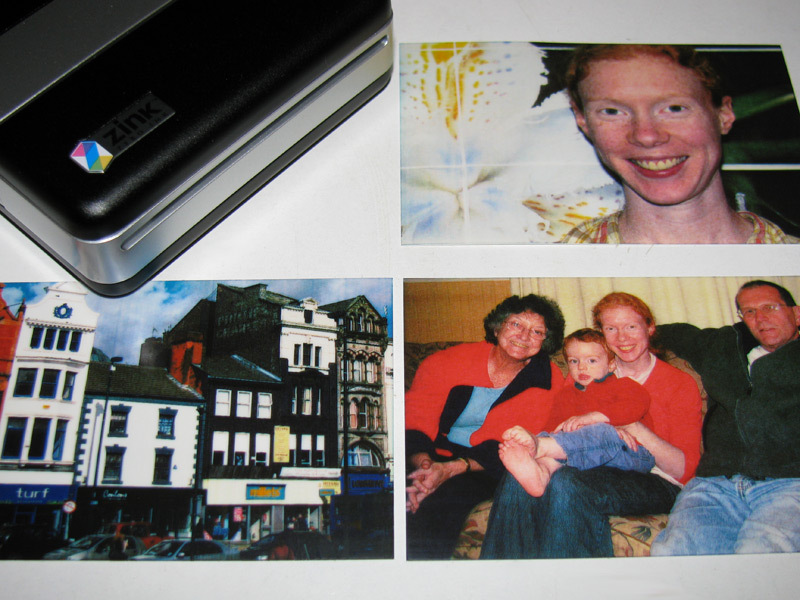 The printer comes with 10 sheets of Zink Photo Paper, an AC adapter and power lead, bluetooth passcode (printed on a card under the printer), a 1 year warranty and a short user manual. The printer is available for £86, with additional paper available for £9 for 30 sheets. Read our Polaroid Pogo Zink Printer Mini Review here. The pictures above (click to enlarge) show bluetooth photos printed from the Sony Ericsson C905 – transfer was fairly rapid – however the first photo is slightly under-exposed (taken without flash) and this is exagerated when printed and appears slightly too dark. 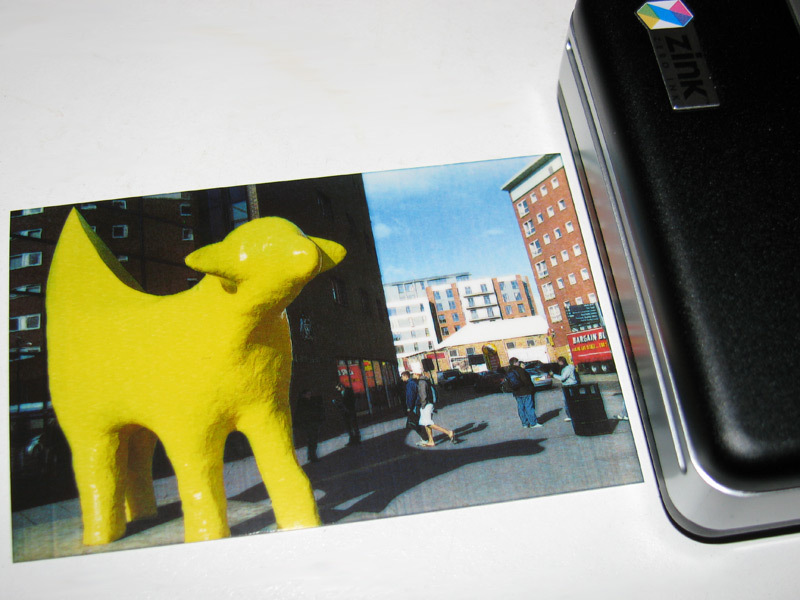 The second photo, of the Super Lamb Banana looks better (view the original photo here), with good detail, although it too is overly dark in the shadowy areas of the photo and vertical banding can be seen in the prints. Loading the paper is very straightforward, the top of the printer opens up at the press of a button and the paper is placed into the printer, with a barcode “Zink Smart Sheet” at the bottom, this is read through the printer presumably so the printer knows how many sheets of photo paper have been loaded. 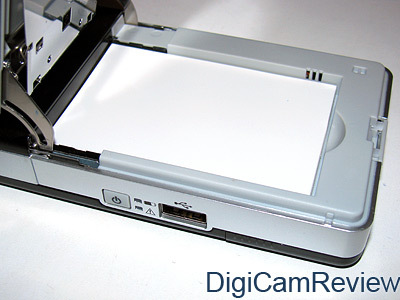 The side features a power button, battery and alarm status LEDs, and usb socket. The Lithium Ion battery (7.4v, 450mAh) sits under a metal cover, and provides 15 print battery life, after a full charge of two hours. Click to enlarge – The print quality is acceptable, detail appears quite good, but colour could be better (reds are oversaturated for example). Dark areas often print overly dark, and there appears to be quite noticable verticle banding in all photos. The paper is glossy in appearance, and photos are printed with some cropping due to the different aspect ratios (digital is 4:3, while this prints onto 3:2). The photos shown above were taken with the Canon Powershot SX110 IS, and the original versions can be found in the Canon Powershot SX110 IS Gallery. 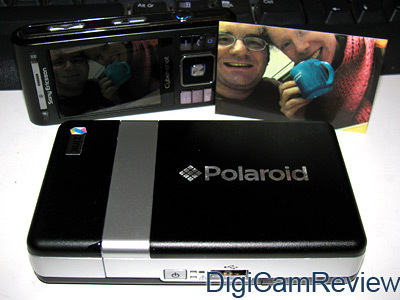 Overall: As an extremely portable printing solution the Polaroid Pogo Instant Mobile Printer is an appealling choice, priced competitively at £86, there are very few competitors. 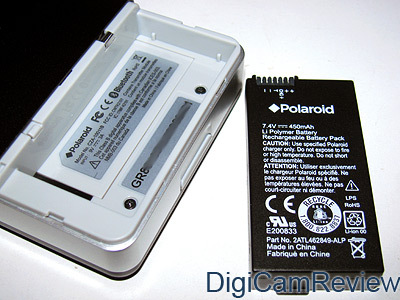 The Polaroid Pogo offers acceptable, albeit small, prints, and has good connectively through bluetooth and USB pictbridge. 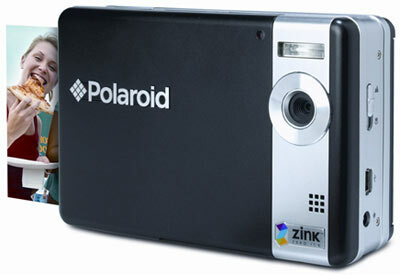 The only concerns are the slightly high cost per print, the short battery life, the average print quality and the small photo size, but if you just want something ultra small and portable then the Polaroid Pogo could be for you. 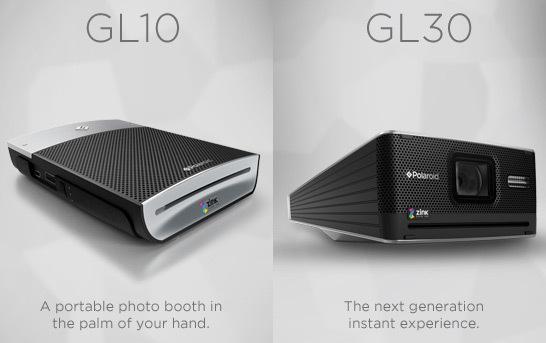 For more information please visit the Polaroid website. 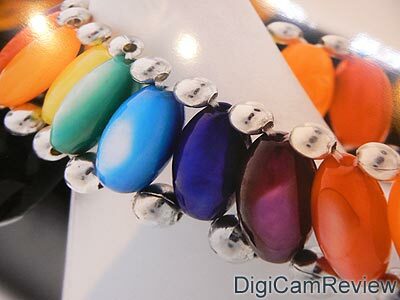 The photos shown of the prints and printer were taken with flash and therefore the prints looks brighter than they actually are. HP announced their new professional A3 photo printer today, it features 8 new seperate pigment ink cartridges, with prints having a 200 year life span. The printer has been announced with new paper, watercolor, canvas etc and has replacable print heads – although I was told that these are designed to last the life time of the printer. The prints come out of the printer dry and waterproof. The RRP is £499 and is expected to be available in June. Read the full press release, with exclusive photos. Birmingham, UK, 26 February, 2006 – HP today announced the launch of its new HP Photosmart Pro B9180 A3+ Photo Printer, designed specifically for professional photographers. With eight, high capacity individual pigment-based HP Vivera Inks and enhanced media compatibility, this leading printing system allows photographers to be up to 30 percent more productive1, helping them succeed in the increasingly competitive professional photography market. The newly designed printing system features HP’s proprietary scalable printing technology for increased productivity, versatility and affordable cost per page, along with eight individual pigment ink cartridges, four two-colour printheads and a range of professional photo and fine art papers. 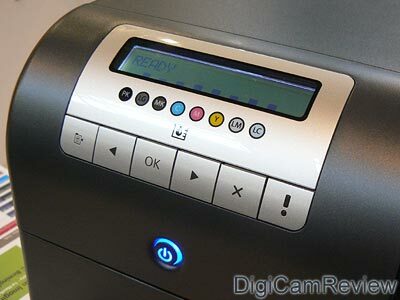 The high-capacity ink cartridges allow professional photographers to print up to 80 A3+ prints or 840 10 x15 cm photos3. In addition, HP Pro print plug-in for Adobe Photoshop, and a host of ICC profiles in the printer software, deliver precise, predictable colour quality, print after print. Professional quality papers – For photographers without large format printing facilities, producing A3+ prints that meet professional requirements is a challenge. Industry leading HP Advanced Photo Paper solves this problem. Featuring a retail quality finish, in glossy and satin-matt, customers will appreciate the durability of the thick, heavy paper. The paper’s instant dry porous coating allows immediate handling without smudging, helping to create a more productive and efficient studio. Additionally, new A3+ HP digital fine art papers, based on HP’s professional large format media range, provide photographers with the materials needed to display their work in a gallery. Four types of papers – Watercolour, Aquarella Art, Smooth Fine Art and Artist Matte Canvas – provide professionals with greater choice when printing work for display. 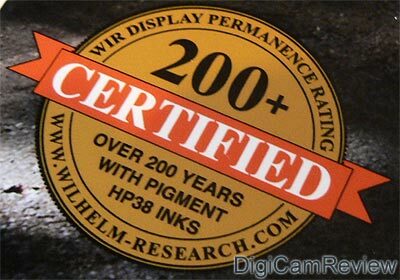 Henry Wilhelm, Wilhelm Imaging Research Inc., (WIR) said, “With WIR Display Permanence Ratings of more than 200 years, prints made with the HP Photosmart Pro B9180 A3+ Photo Printer, Vivera pigment inks, and select HP glossy photo papers and matte fine art papers4 set a new benchmark for overall colour print permanence. When displayed framed under glass, prints made with the new printer, inks, and papers are among the longest-lasting prints in the entire 130-year history of colour photography. Industry leading image quality with HP Vivera Inks – The eight high-capacity HP 38 Pigment Ink Cartridges, with new patented waterproof5 HP Vivera inks, deliver durable life-like colour for professional portraits, landscapes, proofing and fine art prints. The new ink cartridges have been engineered to deliver consistent results with the HP Photosmart Pro B9180 A3+ Photo Printer. 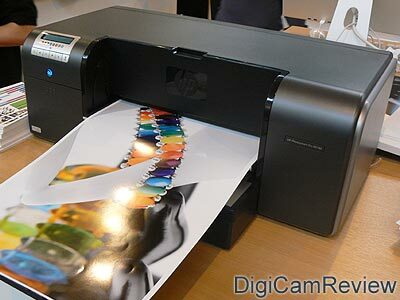 In addition, the four HP 70 dual-colour printheads feature 8,448 nozzles for precise, consistent drop placement, enhanced colour accuracy and prints that will more closely represent the image seen through the lens and on the PC. HP’s third generation grey ink creates colour as well as black and white prints with smooth transitions from one shade to the next. Neutral tones are consistent, subtle and controlled. Photographers can select from the two types of black inks: photo black for high contrast black and white photos with deep, rich blacks, or matte black for printing onto HP’s range of fine art papers. For enhanced productivity, photographers can individually replace the printheads and single ink cartridges, which are available in 27ml sizes as required. This will help small studios keep costs in line with usage. Professional performance and versatility – The HP Photosmart Pro B9180 A3+ Photo Printer delivers ICC profiling options for perfect colour reproduction on a variety of standard and specialised media. Professional photos will look just as they did through the lens or on the calibrated monitor, with precision colour consistency for the highest quality prints. Colour control and accurate photo proofs are also available for a variety of HP and non-HP media as well as digital fine art paper. Photographers can immediately print their photos and proofs with HP’s fast, professional printing technology without having to rely on a photo lab. Proofs can be printed in less than 2 minutes for A3+ prints and less than ten seconds for 10 x15cm prints, a new speed benchmark6. The printer is perfectly suited to master the most challenging photo printing tasks as well as the everyday printing of documents. PC, Mac or mixed environments requiring multiple connectivity options can utilise the USB-high speed and Ethernet networking capabilities. Software tools include Adobe Photoshop plug-in and optional raster image processor (RIP) software for professional colour management. About HP – HP is a technology solutions provider to consumers, businesses and institutions globally. The company’s offerings span IT infrastructure, global services, business and home computing, and imaging and printing. For the four fiscal quarters ended Jan. 31, 2006, HP revenue totaled $87.9 billion. More information about HP (NYSE, Nasdaq: HPQ) is available at www.hp.com. 5 Waterproof with HP Advanced Photo paper; water resistant with other HP-recommended papers. Based on HP image permanence lab’s comprehensive water resistance testing. Please contact HP for further details.